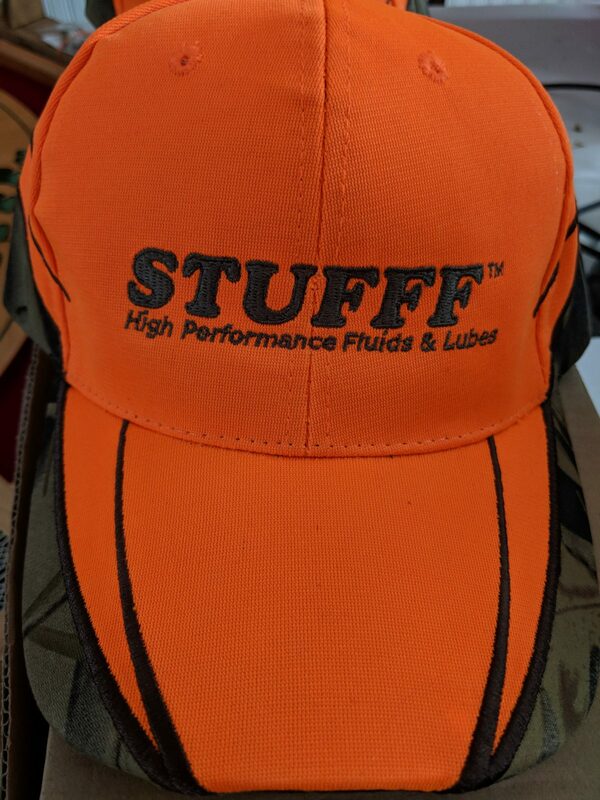 Our latest hats are in. 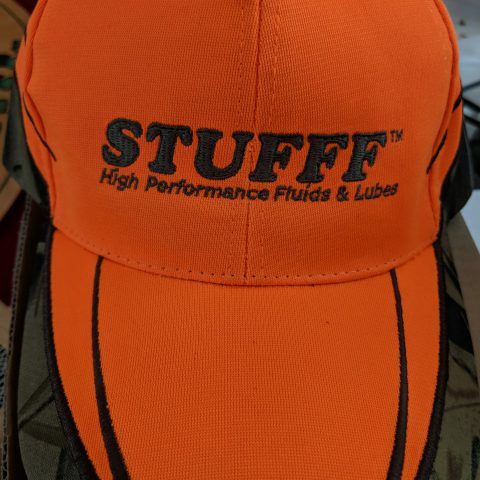 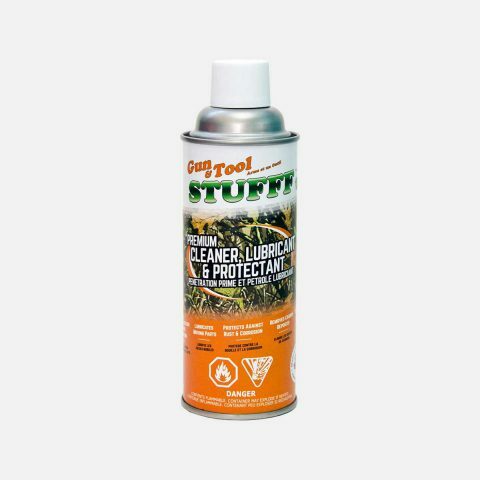 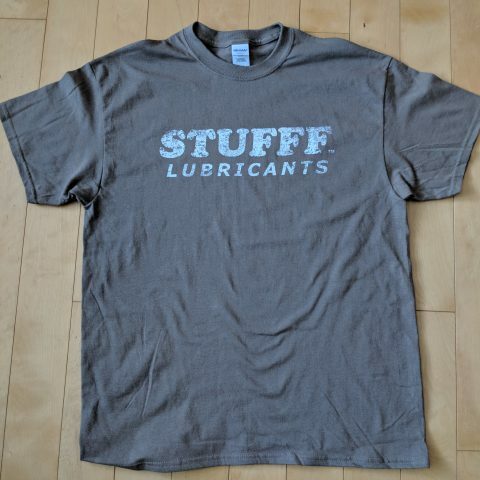 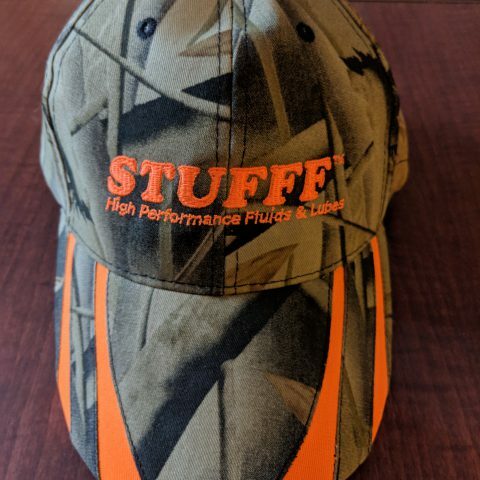 Hunter orange and Camo with the STUFFF logo on the front in dark green and the web address of www.STUFFF.ca in hunter orange on the back. 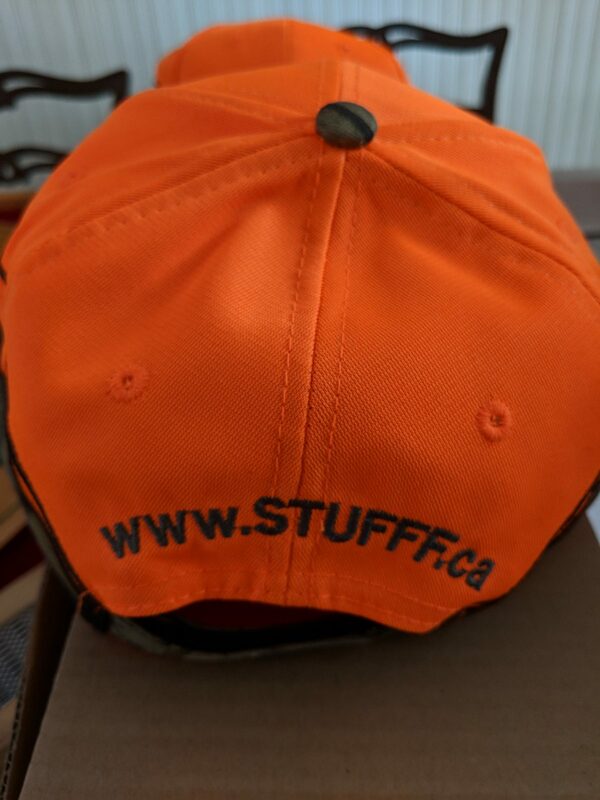 Interested in wholesale or retail?